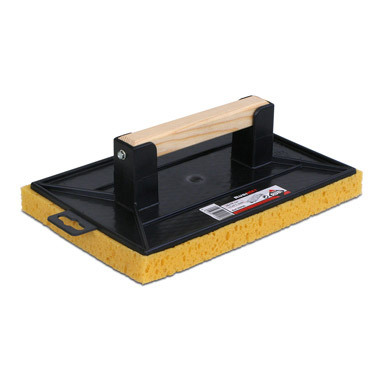 Rubi plastic float with "Plus" sponge. Sponge features a large surface area and lengthwise cuts for improved performance in wiping away dirt. Quick and practical to use after rejointing. Especially recommended for use with a Rubi washboy.